Bulbuls have short, concave (curved in) wings. They have long tails for the size of their bodies. Most of them have tails that are square or rounded. Bulbuls have slender, notched bills. Most bulbuls have stiff bristles near the edges of the beak opening. Their nostrils are either oval or long. Bulbuls' toes and legs are weak and short. Some species are noted for their full and showy crest on their head. Bulbuls are not noted for their bright colors. The basic colors are dull brown, olive green, and gray, though some of the species do have markings such as yellow underparts, or faces with red, yellow, orange, or white plumage. These brighter colors are only on the throat, undertails, head, or ears. The parts on the upper portions are usually the same color or shades of color. In several species the tail is either rust-red or reddish brown. The size of the various species varies, and a bulbul can range from 3.6 to 11.5 inches (9.3 to 29 centimeters). They can weigh between 0.5 and 2 ounces (14 to 57 grams). 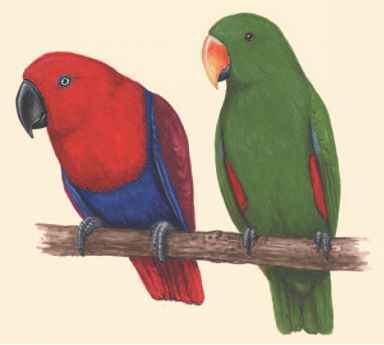 The male and female birds vary little in appearance, but the female is usually smaller.